Salt Lake City, UT, WPH Press, 4/10/17- The World Players of Handball, Ace Disposal, and the Salt Lake City handball community are thrilled to host the WPH Race 4 Eight 6 Player’s Championship featuring the top men’s, women’s, and senior professional handball players in the world competing on handball’s most prestigious professional handball tour live on the Watch ESPN App. The WPH Race 4 Eight 6 Stop Player’s Championship will be held at the Sports Mall, April 21-23, 2017, located at 5445 S 900 E, Salt Lake City, UT 84117. 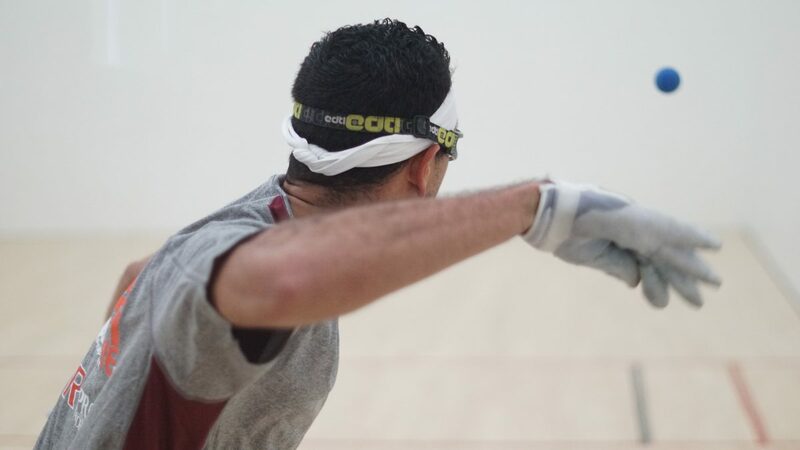 The R48 Men’s Pro features three players tied for the #1 spot for the first time in the six-year history of the tour, with Killian Carroll (IRE), David Fink (AZ), and Luis Moreno (AZ) jointly holding the coveted top spot. Killian Carroll enters Salt Lake City as the defending WPH R48 Player’s Champion, having won the R48 6 New Orleans and R48 6 Houston, David Fink enters Salt Lake City on the heels of three consecutive finals appearances in Minnesota, Idaho, and New Orleans, and a resurgent Luis Moreno enters Salt Lake City having become the second R48 pro to have won 10 R48 titles at NFL legend Jake Plummer’s January Bash. Carroll, Fink, and Moreno will have to contend with Race 4 Eight’s Elite 8 rivals Mando Ortiz (CA), Sean Lenning (WA), Luis Cordova (MEX), Daniel Cordova (TX), and Vic Perez (CA) in a wide open field. The Race 4 Eight 6 Salt Lake City Aces Player’s Championship also features a sensational qualifier draw, with three-time Race 4 Eight champion and current Simple Green U.S. Open champion Robbie McCarthy (IRE), Jonathan Iglesias (NY), Abraham Montijo (AZ),Memo Pallares (TX), Adam Bernhard (TX), Ryan Bowler (CAN), Shorty Ruiz (AZ), and many more top stars. Salt Lake City also features the Women’s Race 4 Eight Player’s Championship, with WR48 #1 and 11-time WR48 champion Catriona Casey (IRE) seeking her fourth consecutive WR48 Player’s Championship. Casey will have to contend with two of her greatest Irish rivals in Salt Lake City, as Martina McMahon and Ciana Ni Churraoin appear poised to challenge for world’s best women’s star. McMahon owns two tournament wins against the WR48 #1 in the past eight months, announcing herself as Casey’s most formidable challenger, while Ni Churraoin remains one of the sport’s most talented stars in search of her first major indoor title. 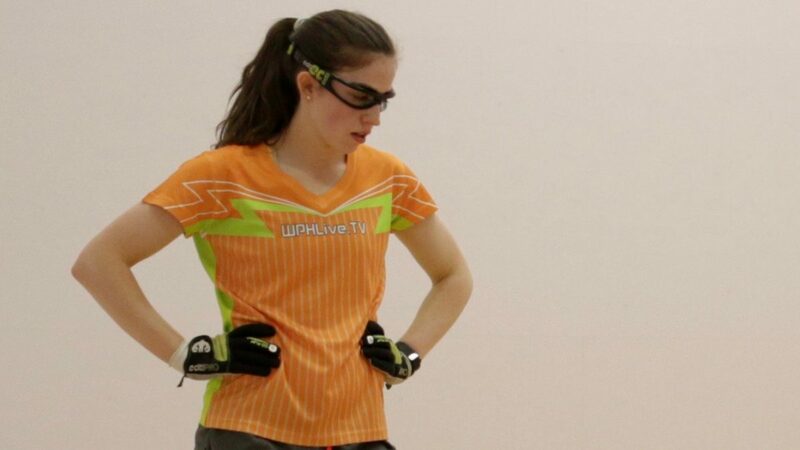 Joining the Irish superstars are Suzanne Koehler (MO), Aimee Ulbert (GA), Aoife McCarthy (IRE), Tracy Davis (NY) and several more of the top women’s players in the sport. The Senior Race 4 Eight (40+) will see its 2016-2017 season culminate in Salt Lake City, with SR48 #1 Marcos Chavez (CA) seeking his third title of the season and third SR48 Player’s Championship. 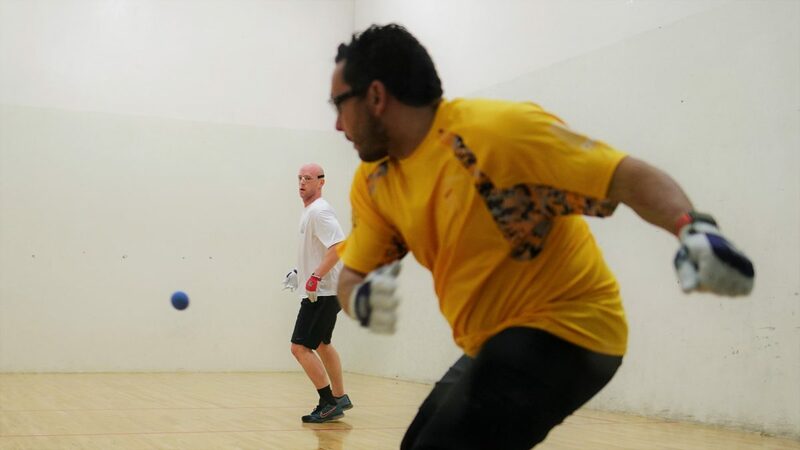 Chavez will face several of his fiercest rivals in Salt Lake City, with Handball Hall of Famer John Bike (CA) returning to the tour after a two-year hiatus, as well as Chris Watkins (CA) and Dan Armijo (AZ). 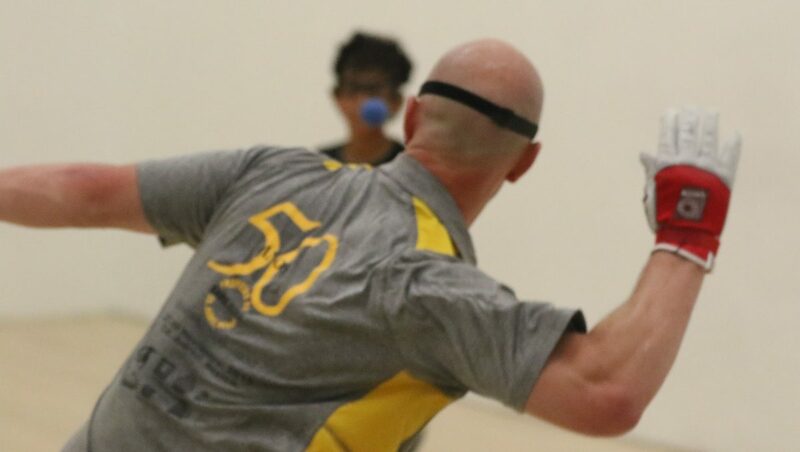 While the Race 4 Eight Men’s, Women’s, and Senior tours will wrap up their respective season in Salt Lake City, the WPH Outdoor Big Ball tour will stage its third event of the WPH Outdoor 6 season in Salt Lake City, with the world’s best Big Ball stars battling indoors for coveted WPH Outdoor ranking points in the 2017 “Race 2 Vegas.” WPH Outdoor #1 and 13-time WPH Outdoor singles champion Samzon Hernandez (CA) will headline a star-studded WPH Outdoor tour in Salt Lake City that also features 1-Wall World #1 Timbo Gonzalez (NY), cross over star Shorty Ruiz (AZ), rising star Chava Cordova (CA), and 2017 WPH Outdoor Iceman champion Manny Suarez (CA). 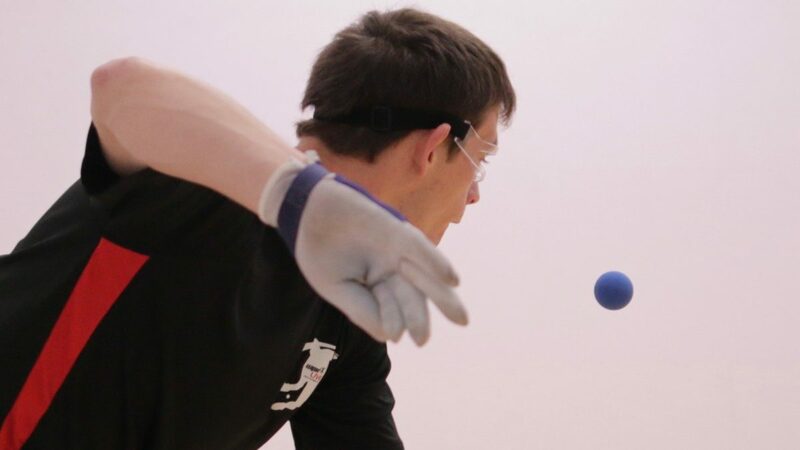 Not enough handball for you? 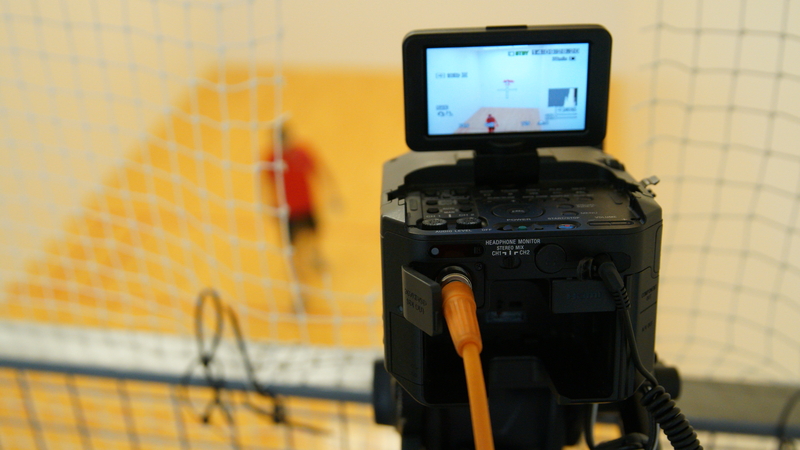 Salt Lake City will also feature amateur divisions for local and regional handball talent, as well as an exciting Pro/Junior doubles exhibition event on Thursday night, April 20th, featuring pro players teaming with JR WPH junior handball stars from Salt Lake City. 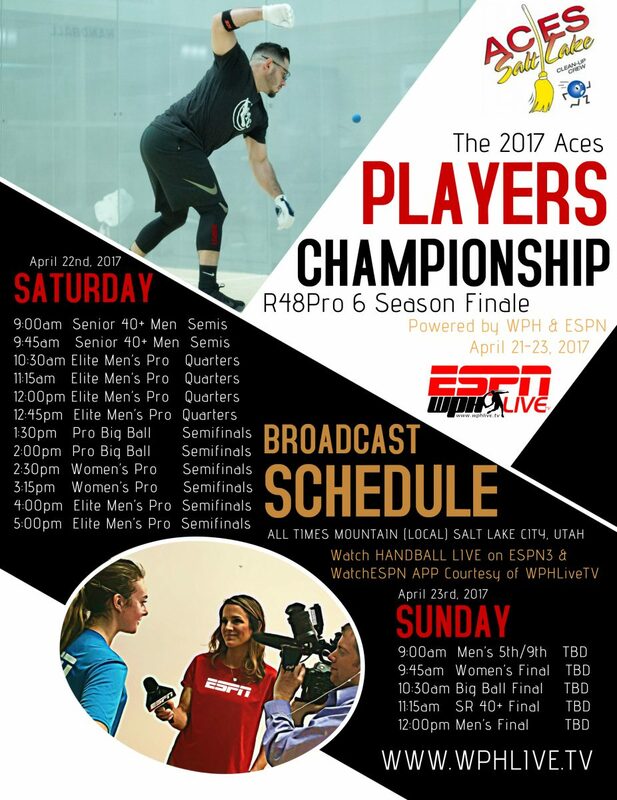 WPH RACE 4 EIGHT: The World Players of Handball’s Race 4 Eight 6 Powered by ESPN and features seven stops, culminating with The Player’s Championship in Salt Lake City in April of 2017. Similar to Nascar’s Nextel Cup and the FedEx PGA Playoffs, players earn points in the Race 4 Eight’s first six stops to qualify for the season-ending Player’s Championship and bonus prizes. Ireland’s Robbie McCarthy claimed the first title of the season at the Simple Green U.S. Open in October, Mando Ortiz claimed the second event of the season in Minnesota, Luis Moreno became the second 10-time Race 4 Eight champion at the Plummer Bash in Idaho, current WPH Player’s Champion and WPH R48 #1 Killian Carroll picked up his second and third R48 titles in New Orleans and Houston at the season’s fourth and fifth stops, and 10-time national champion Paul Brady picked up his 14th R48 title in New York. Women’s Race 4 Eight #1 Catriona Casey won both WR48 stops this season at the Simple Green U.S. Open and at the New York Athletic Club, while Senior Race 4 Eight #1 Marcos Chavez has won both SR48 stops thus far this season at the Simple Green U.S. Open and in Minnesota. Salt Lake City will host the Aces Player’s Championship for the third time to close out the R48 6 season.